2017 Oset 20.0 Lite. Picture credits - Oset. Submit more pictures. 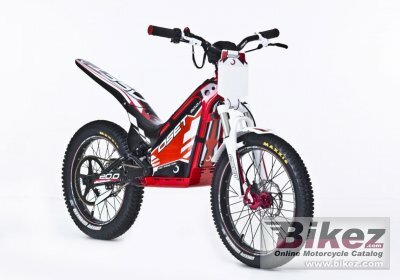 The OSET 20.0 Lite is an �in-between� machine for riders a little too big for the 16.0, but not quite ready for the 20.0 Eco or Racing. It features similar ergonomics to the OSET 16.0, but with bigger wheels that make conquering obstacles a little easier. Front suspension: Front telescopic, air/spring fork. Rear suspension: Rear shock, preload adjustable and oil dampened. Comments: 3 x 10ah AGM SLA batteries. Intended for children 6-9 years. Max rider weight 41 kg. Ask questions Join the 17 Oset 20.0 Lite discussion group or the general Oset discussion group. Bikez has discussion forums for every moped. View comments, questions and answers at the 2017 Oset 20.0 Lite discussion group. You can sign up for e-mail notifications when other riders answer you. If you have extensive experience with the MC, please send us a review. If you consider buying this bike, you should view the list of related motorbikes Look at photos. Compare technical specs. And check out the rating of the moped's engine performance, reliability, repair costs, etc. You can compare the rating with other bikes.